If there’s one thing I love besides opera, it’s good food. I love it a little too much for my own good, though Weight Watchers has been helping me manage that love. Not only do I have a formidable collection of cookbooks, I’m the only person I know who reads cookbooks just for fun. One of my favorites in my collection is one that I’ve never even used yet, I just enjoy reading it and looking at the pictures. 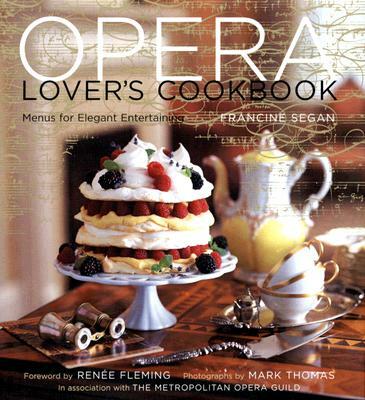 Opera Lover’s Cookbook: Menus for Elegant Entertaining, by Francine Segan, published in 2006 by the Metropolitan Opera Guild. The reason I haven’t used it yet is because I haven’t found the right occasion. This book is designed for parties. Each of its twelve chapters maps out a multi-coursed themed meal, and the theme of each meal is a tribute to a specific opera or genre of operas. And as the title implies, it’s a vehicle for elegant dining. The menus are fancy and more than a little expensive. But I love looking over the recipes, reading the author’s tantalizing prefaces to each one, and looking at the photos, not only of the food but of scenes from the operas that inspired it. Thanks to its array of production photos, this book is a culinary tribute not only to opera itself, but to the Met – more specifically, to Joseph Volpe’s Met, not Peter Gelb’s. The Met as it was when I first discovered opera and when I visited it for the first time. It’s filled with photos of then-mainstay, now-bygone productions. Otto Schenk’s Ring, Jean-Pierre Ponnelle’s Manon, John Cox’s L’Elisir, Nathaniel Merrill and Robert O’Hearn’s Hansel & Gretel, and of course lots of Zeffirelli: Traviata, Carmen, Tosca, Don Giovanni, Cav and Pag, and Falstaff, not to mention the last two holdouts, Bohéme and Turandot. I won’t dispute the claims that those old productions had gone stale and were long overdue to be replaced, but still, I sometimes wish a few of them had lingered on… especially since most of the replacements haven’t exactly been improvements. 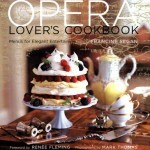 For the pre-2006 Met follower, this cookbook is a beautiful source both of recipes and of nostalgia. This Italian-inspired meal pays tribute to the operas and home regions of Rossini, Donizetti and Bellini. The main course is L’Italiana in Algeri Couscous and Fiery Chicken, accompanied by Sauteed Broccoli Rabe and a salad with Rossini’s Truffle Dressing. This is preceded by cheeses of Donizetti’s Lombardy, Tournedos Rossini, Golden Marsala Broth, and Penne alla Norma, followed by a dessert of Sugar and Spice Ricotta Cheesecake and Bittersweet Chocolate Pudding, and accompanied by a wide array of drinks including the Classic Bellini, the William Tell Martini and Cream di Limoncella. This celebration of Carmen and the various other operas set in Spain features Leporello’s Chorizo and Potatoes, Saffron Garlic Shrimp, Melted Manchego with Spicy-Sweet Tomato Jam, Serrano Ham with Drunken Melon, Spicy Scallop Seviche, Figaro’s Fiery Salmon Seviche, Warm Marinated Olives, Clams with Salsa Verde, Don Giovanni’s Octopus with Potatoes, Savory Pork Empanadas, Roasted Pepper and Cheese Empanadas, Warm Dates with Serrano Ham and Almonds, Lime Cilantro Granita, Rose Truffles, Almond Cake Accented with Citrus, Chocolate “Chorizo,” and a wide, wide variety of drinks: Spanish wine and sherry (including, of course, manzanilla), Carmen’s Sangria, and lots of Spanish-flavored cocktails. This tribute to the French repertoire starts with a French wine tasting, followed by a French cheese tasting, and then features French Canapés, Warm Cheese Puffs, Paté Manon, Herbes de Provence Onion Tart, Tapenade Red Potato Bites, Les Troyens Smoked Trout Custard, Pears Belle-Héléne, Chocolate Almond Macaroons, Raspberry and Lavender Dacquoise, and of course an array of cocktails inspired both by France and by opera (Eiffel Tower, Faust’s Potion, etc.). This hearty dinner inspired by the Romantic German repertoire features Der Freischütz Venison Stew as its main course, accompanied by Spaetzle with Spinach and Nutmeg Butter and Freia’s Golden Apples with Kale. This is preceded by German sausages with three kinds of mustard, Sour Cherry Soup, Trout with Roasted Meyer Lemons, and White Asparagus with Strawberry Champagne Vinaigrette. For dessert we have Isolde’s Marzipan Kisses and Flourless Apricot Poppy Seed Cake, and to drink with have a Salome Cocktail and various German beers. In honor of Porgy and Bess, here we have a meal of Charleston Peanut Soup, American Artisanal Cheeses with Mint Julep Jam and Bloody Mary Marmalade, Maple Buttermilk Biscuits, Apple and Butternut Squash “Hash,” Country Ham Breakfast Casserole, Crispy Chive Onion Rings, Porgy’s Peach Ice Cream, and two cocktails, Sparkling Apple Harvest and Heirloom Tomato. An Italian celebration of the King of Italian Opera. We start with Minestrone alla Traviata, Falstaff’s Fig and Prosciutto Penne, Insalata Russa, and Focaccia con Rosmario, followed by Osso Nabucco, Herb Risotto, and two pyramid-shaped desserts in honor of Aida, Citrus Honey Pyramid and Amaretto Rum Balls. Here we start with an English beer tasting, as well as Shandy, English Bishop, Hot Toddies and Beer Flips. Then comes Yum Yum Oyster Stew, Mrs. Lovett’s Meat Pies, Scotch Eggs, Queen’s Navee Fish and Chips, Shepherd’s Pie, Toad-in-the-Hole, and Bubble and Squeak with Wow Wow Sauce. Last but not least, the dessert course is a tea party, with Little Buttercup Scones, Sally Lunn Cake and Foolproof Fool. A tribute to Cavalleria Rusticana and verismo. Here we have a main course of Sicilian Stuffed Beef Roll, plus Roasted Potato Salad with Basil and Marsala, Tricolor Sweet Peppers, Cardoons with Lemony Dipping Sauce, Mamma Lucia’s Sweet and Tangy Eggplant Caponata, Orange and Fennel Salad, Hearty Farro Seafood Salad, and for dessert, Neapolitan Rum Baba Cake and Nedda’s Amaretti Roasted Peaches – all served with il vino spumeggiante. A menu with influences from all over the world: i.e. 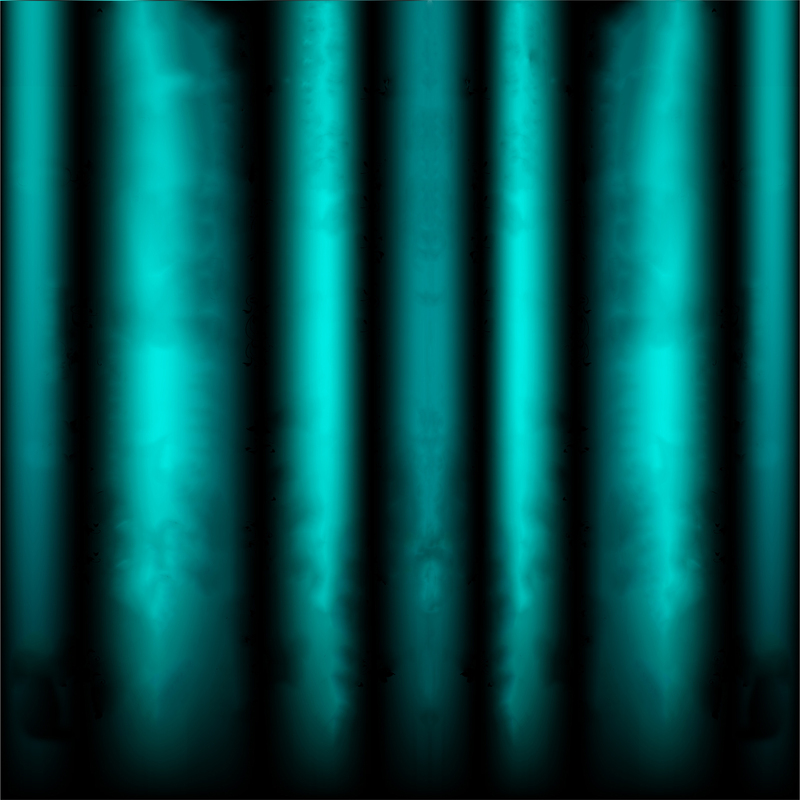 from the various far-flung settings of Puccini’s operas. We start with Asian-inspired cocktails and appetizers in honor of Butterfly and Turandot (Chinese Iced Tea, Sake Martini, Tea Eggs, Teriyaki Wings, and Ping, Pang and Pong Pork Nibbles), followed by Italian dishes evoking Il Trittico and Tosca (Linguine Il Trittico, Scarpia’s Saltimbocca, Spinach with Pine Nuts and Raisins, Roman-Style Crispy Artichokes) plus a San Francisco-style Seafood Chowder in honor of La Fanciulla del West, and last but not least, two fruit, nut and chocolate desserts inspired by the street vendors’ wares in Act II of Bohéme (Monte Bianco and La Bohéme Fruit and Nut Fantasy). In addition to a variety of fruit- and spice-infused vodkas and vodka cocktails, this fancy tribute to Prokofiev, Tchaikovsky, et al, features Caviar with Buckwheat Blini, Smoked Salmon with Caper Cream, Three Oranges Tangy Vodka-Marinated Veggies, Golden Borscht Shots, Mushroom “Caviar” with Sweet Potato Blini, Seafood Smorgasbord with Garlic-Horseradish Potatoes, Radish Bites, Russian Sweet Bread with Orange Icing, and tea from a samovar. Inspired by the array of desserts that hail from Austria, this buffet features Miniature Sachertorte, Linzertore Music Bars, Cosí Fan Tutte Chocolate Passion Fruit Fondue, Idomeneo Dates with Wine and Spices, Pomegranate Wine Ice, Figaro’s Orange Cake, Harem Honey Custard, and, to cut the sweetness, Magic Flute Savory Surprise (a salmon sandwich on a baguette “flute” with olive “holes” and “keys”), all served with ice wine and authentic 18th century hot chocolate. A party designed to introduce kids to the world of opera. It features a wide array of crafts and activities: gingerbread house decorating, balloon “strawberry” gathering, broom making, puppet making, and more. To drink, we have Sandman’s Soda (sparkling lemonade) and a Forrest Strawberry Milkshake, and to eat, we have Dew Fairy Pretzel Wands, Hansel’s Raisin and Almond Celery Treats, Gingerbread Man Sandwiches (i.e. regular sandwiches cut into the shape of gingerbread men) and Angel’s (i.e. angel food) Cake.